MacGregor, part of Cargotec, has received an order for two MacGregor active heave-compensated (AHC) offshore cranes from a Turkish shipyard for a new subsea inspection, maintenance and repair (IMR) and construction vessel for a Norwegian owner. 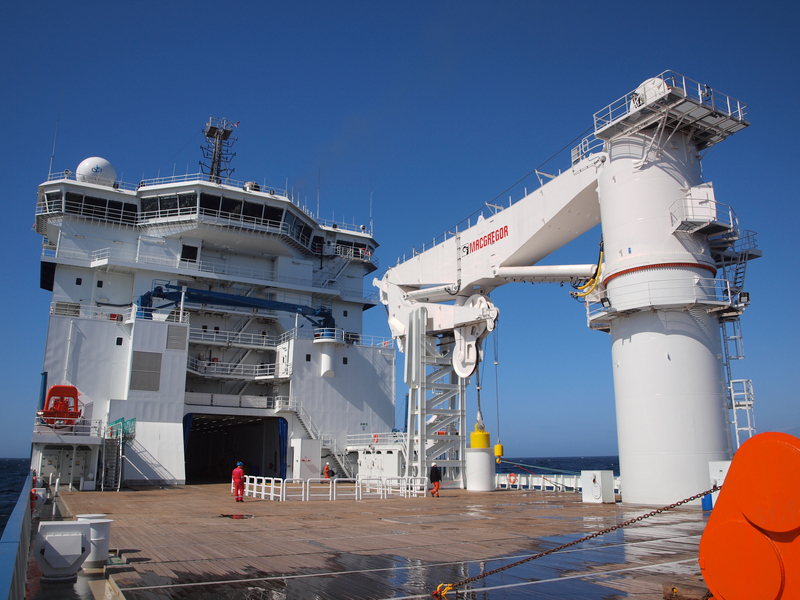 A 250-tonne and a 15-tonne MacGregor subsea crane will be installed on the 129m vessel. The 250-tonne unit will have its winch installed below the working deck and will also feature wire rope integrity software. The order was booked in the third quarter 2013 order intake. "Environmentally-friendly and safe offshore operations are steadily becoming a standard for many operators," says Frode Grovan, Director, Sales and Marketing for Advanced Load Handling. "The MacGregor equipment shares this focus and will be delivered with the added benefit of wire rope integrity software, which enhances operational safety and allows an operator to monitor a wire's wear status and therefore plan for its replacement and even extend its lifespan." The cranes will enable subsea operations to depths of between 2,600m and 3,000m and both will be fitted with a MacGregor Arctic package for safe and efficient operations in cold climates. The Skipsteknisk ST-259-design vessel is scheduled for delivery at the end of 2015.